A corporate travel policy should be established prior to allowing any business travel. Human resources should create a policy that is fair and easy to understand. The policy should allow for reasonable accommodation for employees. It should also reduce unnecessary travel expenses for the business. If you are an HR manager, you may be looking for some tips on what to include in your corporate travel policy. Allow this post to serve as a guide. The first step in creating a corporate travel policy is to determine the appropriate person to approve or deny business travel. In many cases, an employee’s direct supervisor will handle this. They are most familiar with job requirements. Moreover, it could be the manager who is hiring a corporate event planner or business financial consultant to complete their work. It should also be established who will book the trip. Human resources is a common option. This way, travel can be controlled in a centralized manner. In large corporations, there may be a travel agent involved. However, this is more costly and less common. When writing a corporate travel policy, be sure to start by defining booking parameters. The second step in creating a corporate travel policy is to establish some general guidelines. Remember, the point of this policy is to be fair and provide reasonable accommodations. However, it is also to save the business from any unnecessary expenses. The general rule is to establish the cheapest option as the standard. Book economy class for flying. Rent a standard size hotel room. Hire a standard sedan car. If more than one employee is traveling to the same destination, make it clear they are expected to share accommodations. Remember, of course, to do this only when appropriate. Hold all employees to the same accommodation standards. When writing a corporate travel policy, make sure you establish guidelines as to what employees should expect for standard accommodations. Not every travel option can be booked in advance. Employees may have to pay for some items themselves during travel. Therefore, it is important to establish a clear reimbursement policy. The most important factor is to require a receipt for all employee-paid expenses. This should be done in all currencies to factor in the Euro rate or other exchange rates. Employees should keep all receipts to submit after the trip for reimbursement. Decide to whom they will submit reimbursement requests. For most businesses, this is typically the same individual that booked the trip. Use a standardized process or form for reimbursement expenses. This way, there is no confusion among employees. When creating a corporate travel policy, be clear about receipts being mandatory for reimbursement requests, just as you would when learning how to write a contract. 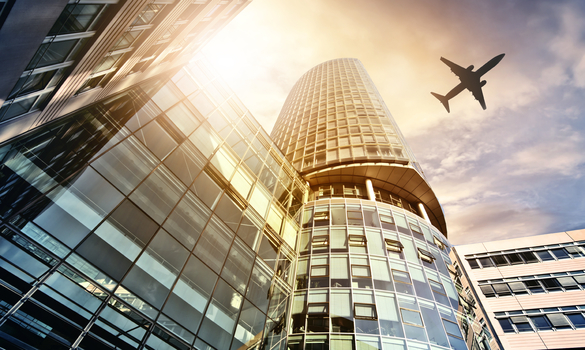 When writing a corporate travel policy, you should include details on safety procedures. Remind employees of the dangers of travel. Their safety is important. Make sure they are aware of travel policies, particularly when flying internationally. Employees will represent your company while traveling. They should be expected to follow any and all local laws. They must also follow the company code of conduct. Be sure your employees are aware of these expectations before they travel for business. When you write your corporate travel policy, be sure to include a note on safety and employee conduct guidelines while traveling. Finally, your corporate travel policy should detail what happens after the employee returns from the business trip. Think of this similar to how you would approach similar elements in a tuition reimbursement policy. Decide how soon expense reports should be submitted. Establish a timeline by which employees can expect to be reimbursed for travel expenses. State whether the reimbursement will be included on their next paycheck or a separate paycheck. You may also wish to include details regarding time off to rest following long trips. As with every suggestion detailed here, make sure your policy is clear and fair. Be sure to establish post-trip guidelines as the final piece of your corporate travel policy. Once you have included the main components of an effective corporate travel policy, you can check your work against one of the many customizable travel policy templates available online. This is an excellent way to spot out other areas of interest that you may want to include. It is also a good way to make sure you did not forget a crucial component by mistake. While corporate travel policy templates may not be the best way to develop a corporate travel policy for your organization, it is an excellent reference tool. It will help you to make sure you have a comprehensive business travel policy that accounts for all variables involved. Keep this in mind for when you are done creating a corporate travel policy for your company. When creating a corporate travel policy, communicate how the business trip will help achieve company goals. Each trip should have clearly defined goals to produce expected outcomes. These goals help offset the cost and time associated with traveling. When employees understand how traveling contributes to the company’s overall goals, they can follow the corporate policy by prioritizing correctly. As a result, your corporate travel policy will align with the company objectives and guide employees while away on business. Writing a corporate travel policy can be an easy process if you follow the guidelines in this post. The human resources manager should allow for reasonable accommodation but also reduce costs for the business, just as they would business uniforms. By establishing clear guidelines regarding business travel, you can hold your employees to these standards. Remember this post to hit all the important areas when you create your corporate travel policy.